You're about to write the perfect housekeeping resume. But first say hello to the housekeeping hiring manager. Her name's Alice. She's hiring for a job with sky-high pay and stratospheric benefits. Naturally, she's got 300+ housekeeping resumes to sort through. They all say the same thing: "I'm an experienced housekeeper. Hire me." What keeps her from picking a name from an ice bucket? How can you make your housekeeper resume sparkle like a newly serviced suite? A housekeeping resume example better than 9 out of 10 other resumes. How to write a housekeeper resume that will land you more interviews. Tips and examples of how to put skills and achievements on a housekeeping resume. How to describe your experience on a resume for a housekeeper to get any job you want. Here's a sample resume for a housekeeper made using our resume builder. Housekeeping Resume Example - See +20 resume templates and create your resume here. What's the Best Format for a Housekeeping Resume? Does format really matter for a housekeeping resume? The person who hires housekeepers is the one with the white glove, checking for dust. She will not accept housekeeper resumes with typos and formatting errors. 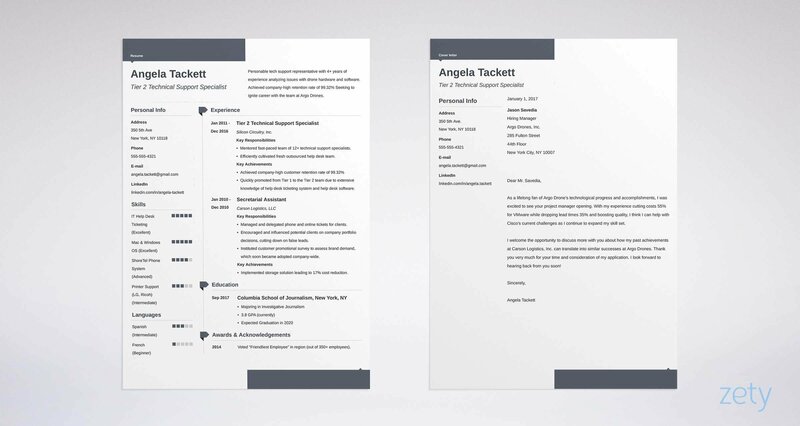 Impress her with a respected resume layout like the reverse-chronological format. It puts your best attributes first. That's great, since the average hotel HR manager spends just six seconds reading each resume. Not sure how to do it? Don't worry. I'm about to show you how to knock your housekeeping resume format out of the park. Pick a clear, legible font. Use eye-friendly headings. Make good use of white space. Save your professional housekeeper resume in the PDF format. Other formats can scramble in transit. PDFs look the same even on Mars. 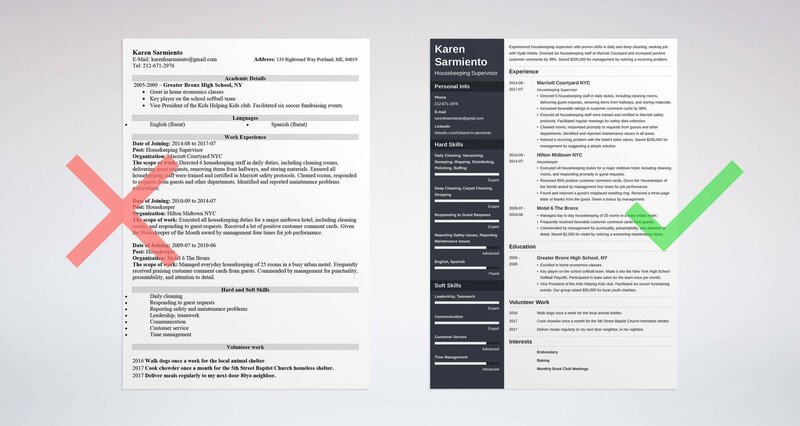 Need a template for your reverse-chronological resume format? See the housekeeping resume samples at the top of this article, and in the rest of this article. Pro Tip: Check the job description to make sure PDFs are allowed. Some Applicant Tracking Systems struggle with housekeeper resumes saved in that format. Want to try a few other formats for your hotel housekeeping resume? See this guide: "3 Resume Formats: How to Choose the Best One [Examples]"
Most resumes for housekeepers have the same effect on HR people as soft pillows on hotel guests: They put them to sleep. You want your housekeeping resume to work like a 5am wakeup call. Let's peek into the HR manager's office. She's sitting under her gigantic framed Mondrian, sipping Frappuccino and nibbling Stroopwafel. She's practically buried by a mountain of 300+ resumes for housekeeping. "I'm qualified. Give me a job." She doesn't break into song, but you get the distinct impression she might. You started your housekeeping resume with a resume summary or a resume objective. Use a resume summary if you've got bins of experience. Use a resume objective if you've got hardly any. Either way, use numbers and achievements, like in our executive housekeeping resume samples below. Experienced housekeeping supervisor. Experienced at cleaning rooms and supervising housekeepers. Seeking job as housekeeping executive with Hyatt. Like a bad vacuum cleaner, that resume summary does the job, but not very well. But look at the next of our housekeeping resume samples. It stands out like a honeymoon suite with a gift basket of Vosges chocolates on the duvet. Experienced housekeeping supervisor with proven skills in daily and deep cleaning, seeking job with Hyatt Hotels. Directed six housekeeping staff at Marriott Courtyard and increased positive customer comments by 38%. Saved $200,000 for management by noticing recurring problem with the guest room toilet valves. That's guaranteed to make the HR manager stop daydreaming about The Vampire Diaries. I'll show you how to make a housekeeping resume summary just like it in a minute. Let's say you don't have experience, or you do, but it's not in housekeeping. In that case, start your hotel or residential housekeeper resume with a resume objective. Housekeeper seeking job with Marriott. No experience yet but I'm a very fast learner. That's not awful, but neither are the other 300 housekeeping resumes on the manager's desk. You've got to rise above them. Now that's how to show experience on a hotel housekeeping resume, even when you don't have experience. Our hiring manager, Jan, just dropped her beignet. The key concept? Search your past jobs to find hidden housekeeping duties. For more help, look again at the sample resume for housekeeping at the top of this guide. Pro Tip: Your resume summary or resume objective is the highlights reel for your housekeeper resume. Write it last so you've got plenty of material. True or false: Housekeepers don't need tips. False, right? Nothing could be more wrong. True or false: Housekeepers don't need experience. To get a job as a housekeeper, you need housekeeping experience. If you want to be a housekeeper supervisor, you need experience at that. In other words, match your experience to the housekeeping job description. List your most recent job first. Add 5-6 bullet points, packed with achievements and numbers. Here are two hotel housekeeping resume samples that show how that works. Directed 6 housekeeping staff in daily duties, including cleaning rooms, delivering guest requests, removing items from hallways, and storing materials. Increased favorable ratings in customer comment cards by 38%. Ensured all housekeeping staff were trained and certified in Marriott safety protocols. Facilitated regular meetings for safety idea collection. Cleaned rooms, responded promptly to requests from guests and other departments. Identified and reported maintenance issues in all areas. Noticed a recurring problem with the hotel's toilet valves. Saved $200,000 for management by suggesting a simple solution. Remember Jan? Our hiring manager? She's forgotten all the other cleaning service resumes on her desk. Housekeeping supervisor in a large hotel. Vacuumed, swept, mopped, polished, dusted. It's clean, but it's a little too clean. Like a suite with all the furniture gone. But what if you don't have any housekeeping experience? What if you've never had any private, hospital, or hotel housekeeping jobs? Remember what we did with our housekeeper resume objective statement? We mined your past for housekeeping achievements. We'll do the same for a housekeeper resume with no experience. Housekeeping Experience: Never had any hotel cleaning jobs yet, but I'm very enthusiastic! Ugh. Fawlty Towers, right? I'm not denying it's experience. But it's not housekeeping experience. Executed daily cleaning, sweeping, mopping, vacuuming as a waiter at Denny's. Received 92% positive customer comment cards. Maintained a small odd jobs business for 10 months. Frequently cleaned bedrooms and common areas, and performed deep cleanings. Responded promptly to customer requests. As a groundskeeper for Chelyan Carwashes, Inc., removed trash, swept multiple areas, and cleaned bathrooms. Commended by management for exemplary work ethic. Now that's a housekeeper, even though he's never actually been one. He dug into his past jobs and pulled out all the housekeeping duties. Better still, he matched his housekeeping responsibilities to the position. Pro Tip: Be careful not to bore the hotel or hospital hiring manager with stale words like "led," or "managed." Use action words in your cleaning resume. You can use a plain old online thesaurus to find other words for "cleaning," or synonyms for "strong work ethic." Tip: Don’t assume all synonyms work everywhere. You don’t want to say you maintained beds, but rather that you changed bed sheets. Need specific action words to make your housekeeping resume shimmer? Find some here: "+80 Examples of Resume Action Words for Every Profession"
Housekeepers don't need much education. Right? Most housekeepers can get by with just high school. But a bilingual education helps. And a college degree looks great on a housekeeping supervisor resume. Then list details that fit the job description. Graduated in 2009 with a high school degree. That's like a set of 50-thread-count sheets. Too thin. Excelled in home economics classes. Key player on the school softball team. Played in New York High School Playoffs. Vice President of Kids Helping Kids. Facilitated six soccer fundraising events. Our group raised $55,000 for local youth charities. Any housekeeper can do that. It just takes a little thought to match a housekeeping resume to a job description like a set of fitted sheets. Pro Tip: The best housekeeper resumes custom-fit each section to the job description. For help with that, see our guide on tailoring a resume to a job offer. Want your housekeeping resume to get attention like a gold plated ice machine? Make your education section glitter with this guide: "How to Put Your Education on a Resume [Tips & Examples]"
Step into the hotel HR director's office. On the desk sits a massive bottle of Advil. The reason? She's read hundreds of housekeeping resumes. They list the same skills, then fail to prove them. Your housekeeper resume lists your skills. But it proves them with experience and education. I'll show you how in a minute. First, why do you need skills keywords in a resume for housekeeping? Answer: because most hotel HR managers use Applicant Tracking Systems (ATS). If your resume lacks the right keywords, you won't even get through the electronic lobby. After all, what is a housekeeper without skills? First build a master list of all your housekeeping skills. Then list the skills that match this job description. Executed all housekeeping duties for a major midtown hotel, including cleaning rooms and responding promptly to guest requests. Received 95% positive customer service ratings in comment cards. Given the Housekeeper of the Month award by management four times for job performance. Found and returned a guest's misplaced wedding ring. Received a three-page letter of thanks from the guest for honesty. Given a bonus by management. Managed day to day housekeeping of 25 rooms in a busy urban motel. Used multitasking to perform all duties in a timely fashion. Commended by management for punctuality, presentability, and attention to detail. Saved $2,500 for motel by noticing a worsening maintenance issue. Bam. You win. The private homeowner or HR manager just put your house cleaning resume in the Interview pile. Need some sample housekeeping skills? Get them in the job offer, and in other job offers online. Use the list below to get started. The advice above can turn your housekeeping resume into Conrad Hilton's dream come true. It works just as well for a hospital housekeeping resume, a private housekeeper resume, or a resume for a hotel job. Pro Tip: If you only use the skills in the job description, it's pandering. Mix it up. See the the sample resume for housekeeping at the top of this article for guidance. Want to give your housekeeper resume skills section an upgrade? Use our guide: "+30 Best Examples of What Skills to Put on a Resume (Proven Tips)"
Let's say you're the recruiter. You've got 300+ resumes for housekeepers. They all look pretty much alike. They've got the same skills and experience. Answer: you pick the most well-rounded person. You know, the one you'd want to work with. Prove you are that person, with a hobbies section. In a pile of identical housekeeper resumes, that one stands out like room service at the Four Seasons. Because it shows qualities that improve your quality of work. Embroidery and baking both demonstrate attention to detail. Book club meetings show teamwork. The animal rescue hobby shows a service mindset. Don't want to add a hobbies section? List other activities that prove your housekeeping chops. Housekeepers need to be active, so physical activity makes a good resume builder. Housekeepers should have a service mindset, so volunteer work looks good, too. Walk dogs once a week for the local animal shelter. Cook chowder once a month for the 5th Street Baptist Church homeless shelter. Deliver meals regularly to my next door neighbor, in her eighties. Now that job candidate is competent, service-minded, and physically able. Yet almost anyone can find some lifestyle trappings like that. Do it, and your housekeeping resume will shine like it's been polished with a magic chamois. It works just as well on a director of housekeeping resume as it does on a resume for a self-employed housekeeper. Pro Tip: A housekeeper resume can include hobbies, volunteer work, and interests. Also add classes, references, sports, or anything else that makes you shine. Need some help building a great hobbies section for your housekeeping resume? See our guide: "+20 Best Examples of Hobbies & Interests To Put on a Resume (5 Tips)"
Myth: Nobody reads cover letters any more. Fact: 60% of hiring managers don't read cover letters. 40% consider them essential. Don't know which group your hiring manager falls into? Include a housekeeper cover letter with your resume. Worst case, the HR director doesn't read it. Best case, you get first pick of the best hospital or hotel housekeeping jobs. Mention a few details about the company. Mention the two or three best features from your resume that fit the position. End your cover letter with a call to action. That's as easy as, "I'd welcome the chance to speak more with you about your needs." A well-written cover letter can elevate your resume to VIP status. Pro Tip: After you send in your housekeeping resume and cover letter, follow up on your job application! A phone call or email in a few days will refresh the HR manager's memory at just the right time. Want a sample cover letter for your housekeeping resume? See our guide: "How To Write A Cover Letter [Complete Guide With Examples]"
Everybody adds contact info to a housekeeping resume. Not everybody does it right. Then add links to your online presence. Include your Twitter handle or LinkedIn portfolio. Think you don't need a LinkedIn portfolio? Many hiring managers use them as the only way to find new recruits. 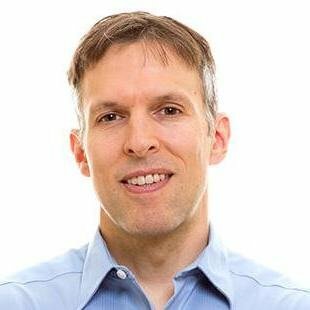 Learn to build a great LinkedIn portfolio for a housekeeper or other job hunter here. Pro Tip: Those Facebook photos from that pool party seven years ago? They're waiting to sabotage your job search goals. Clean them up with our guide on cleaning up your online presence. Want more help to build the best housekeeping resume you can? See our guide: "How to Make a Resume: A Step-by-Step Guide (+30 Examples)"
At the top of your housekeeping resume (or housekeeping supervisor resume), put a resume objective or a resume summary. Tie your housekeeping skills, duties, and responsibilities into a resume. Match your achievements to the job description. List your housekeeping experience in reverse-chronological order. Don't forget to write a housekeeping cover letter and, once you submit your application—to follow up! Got questions or tips about how to make a great resume for housekeeping jobs? Give us a shout in the comments section!